Diary of an iPhone Developer: 4.0 Beta- Proceed With Caution! I am not an early adopter. I’ve been an Apple user long enough to know that good things come to those who wait for Revision B. If you consider that as a guideline, then here is a downright axiom of truth: beta software is buggy. 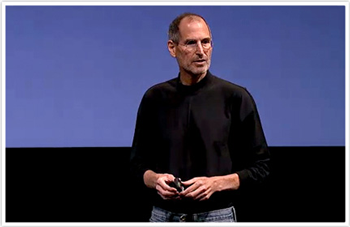 Yesterday, Apple CEO Steve Jobs donned his black mock turtleneck to announce an exciting new update for the iPhone. OS 4.0 promises to deliver a slew of new features, including some great new interface enhancements and a darn slick implementation of multi-tasking (better late than never). -Some users are unable to install. In some cases devices are falsely identified as unsupported hardware. Can’t install via Windows. -Data trouble: some users report being unable to join WiFi networks, others report problems with 3G. WPA2 seems to be a major issue. -iTunes backup is broken for some. This could be very bad, especially for such an unstable release (read: potential data loss). -Exchange Calendar Sync might be broken. -As is Voice Control over Bluetooth. -Wallpapers are buggy, especially on older iPhone 3G & iPod 2G models. -Some apps won’t work or have major issues- Apple’s own ‘Gallery’ app is one of them. -Multi-Tasking seems sluggish. Hopefully Apple works this out before the official release as this was purportedly one of the main holdups (besides battery life). 1) Make sure you “Restore” to install (as opposed to “Update”). There seem to be more issues with the latter. 2) 4.0 updates your baseband, so while you technically can revert to OS 3.1.3, Apple doesn’t recommend it, and some users have confirmed this- there could be severe incompatibility issues. 3) Not every developer wants/needs/can afford a testing specific device, but in some cases it really does come in handy. And finally, 4) If you don't have an iPhone 3GS or latest model iPod Touch, don't expect to use Multi-Tasking. This isn't a bug, the feature is unsupported on your hardware. While this initial beta seems exceptionally bug-ridden, if you are a developer, you already know the inherent risks of installing pre-release software. So to those brave early adopters, Apple and I extend our sincerest gratitude for diving in headfirst and telling the rest of us to hold out for the next build.